Caritas is mobilising to help thousands of people who have fled political violence in Burundi. Demonstrations about the country’s presidential election led to clashes between police and protesters, with families seeking refuge in parishes and other sites. Even before the demonstrations in the capital, families in the country’s north began running from the Imbonerakure, the youth wing of the governing political party. 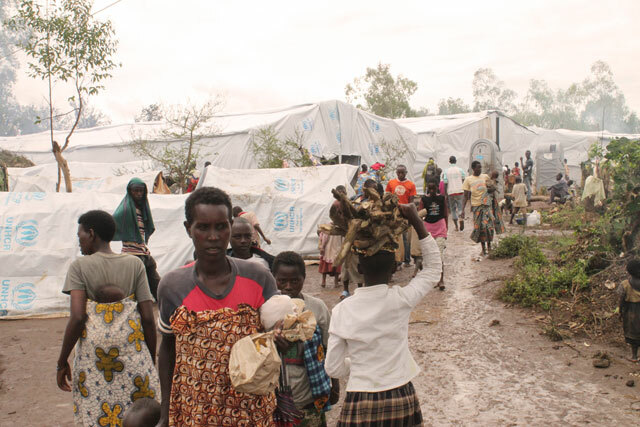 Many have fled to Rwanda, with the most affected dioceses being Muyinga and Ngozi. The leaders of opposition parties and civil society have been imprisoned by the police and private radio stations have been shut down. The Caritas network is working to provide food and other help to people flocking to parishes. But “the safety of the parishes is not at all assured,” said Abbé Nintunze. In neighbouring Rwanda, Caritas is focusing on basic needs such as shoes, soap, and lighting in a camp where many Burundian families are now staying.